Twenty-two students have been suspended after the violent protest and the university intends opening criminal charges against them. Management from the Vaal University of Technology (VUT) in Vanderbjilpark, south of Johannesburg, is likely to make an announcement on when academic activities will resume before the end of business on Thursday. 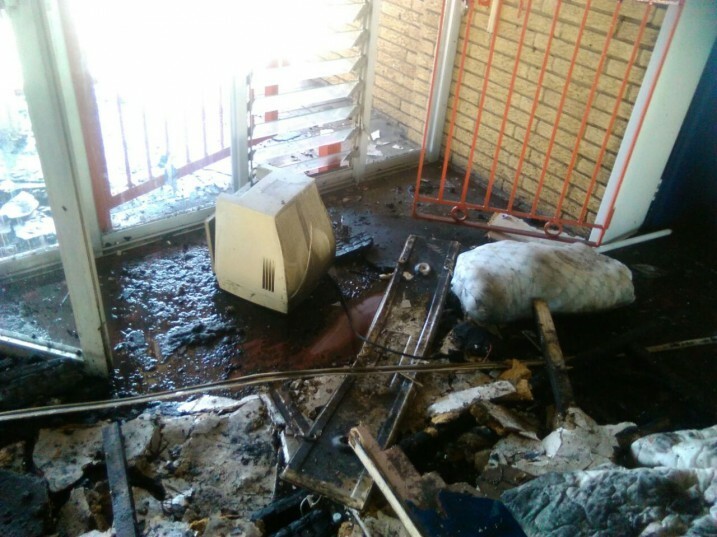 The university took a decision last week to suspend all academic activities following the torching of a building, which housed a study room, laundry room and an office, situated next to the student residences. Speaking to The Citizen on Thursday morning, VUT spokesperson Mike Khuboni said management had for the past couple of days been working on rescheduling exams and implementing a catch-up programme. The exams were initially scheduled to commence on Wednesday, but due to last week’s violent protests, the university decided to suspend academic activities until further notice, instructing all students to vacate the residences. Khuboni was not in a position to say much about how much it would cost to fix the torched building. “On Wednesday, the university was still conducting assessment work on the burnt building. “I can confirm that 22 students have been suspended and the university intends to open criminal charges against them,” Khuboni said.